It may seem like the simplest part of the decision-making process. You’ve taken the time to interview candidates and you’ve narrowed down your pool to one final person. The only thing standing in the way of beginning to on-board and train your new employee is the job offer and negotiations. In a survey from late 2013, recruiters reported that 42 percent of their candidates who received an offer from a potential employer turned it down. That’s not a very good average, especially considering all the work you’ve put into finding the right person for your company. One way to increase the chance your first-choice candidate will accept the job? Let your recruiter extend the offer. Doing so will save you time and money, and will help you to secure your top choice talent. 1.The recruiter has built a rapport with the candidate. By this time, the candidate should trust their recruiter to help them find the best position for their situation. The recruiter can also help make sure the candidate has reasonable expectations going into the negotiation process. 2. It will simplify the process. The recruiter serves as a third-party advocate for both sides. The recruiter is aware of the hiring company’s budget and any potential limitations on extending an offer. At the same time, the recruiter knows what the candidate’s expectations are for compensation and benefits. Allowing the recruiter to make the right offer from the start will result in a smoother negotiation process with less wasted time. 3. The recruiter can help the candidate handle a counter offer. Your new hire may be more willing to talk to a recruiter about a counter-offer than with their could-be new boss. As companies try to retain top talent, counter offers are on the rise– and you don’t want your top candidate to accept a counter offer. 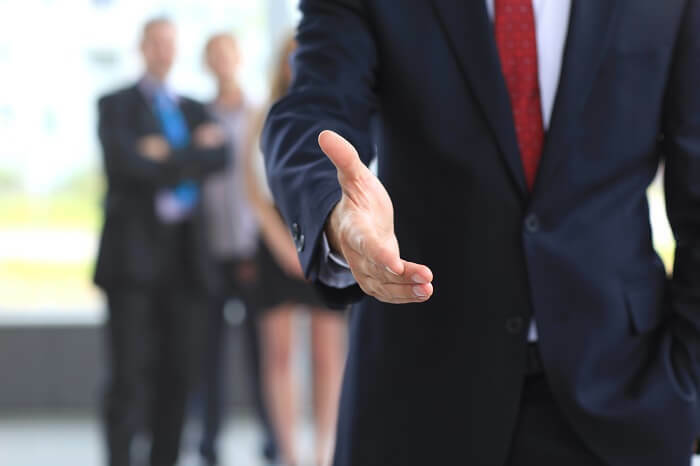 A recruiter can help prevent counter offers by making sure your first offer is competitive, and also by proactively coaching candidates through the resignation process. 4. The negotiations will be less awkward. This may seem minor, but allowing a third-party recruiter to handle negotiations will make the process less awkward for everyone. Should the candidate and hiring company have far different expectations, the recruiter can manage the discussion and help to avoid awkwardness during the early stages of employment.